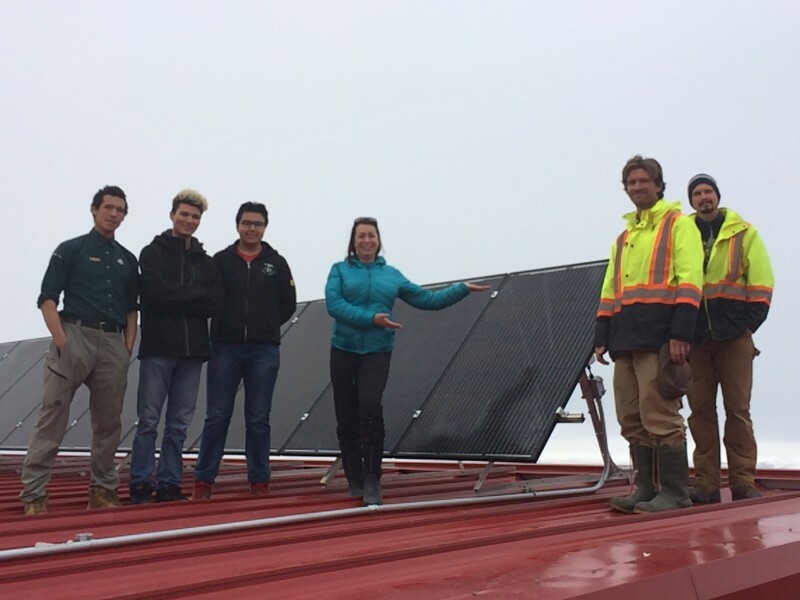 On August 31 Vancouver Renewable Energy (VREC) staff returned from Pond Inlet, NU, after installing a 9.3 kW photovoltaic system on the hamlet’s Community Hall. Three weeks later, as of September 20, the installation of 32 290-Watt panels has offset 590 kWh of electrical consumption, equal to $577 savings on the municipal power bill. This is the most northern grid-tied solar energy system in the Americas. The solar energy system uses AP Systems 3-phase micro-inverters and SolarWorld mono-crystalline modules. In addition to solar, the installation will be paired with a mural celebrating light, both from the sun and from qulliqs, traditional Inuit lamps that use animal fat as for fuel. Ikaarvik Youth Researcher Alex Anaviapik is designing the mural with input from the community and will paint it once warm weather returns next summer. The project was made possible after a group of the Ikaarvik Youth Researchers in Pond Inlet conceived the idea for community solar and applied for funding for the install and in-kind donations to help with transportation and logistics. A research icebreaker contracted by the Arctic Kingdom tour company delivered the panels and racking, which saved immensely on shipping costs. 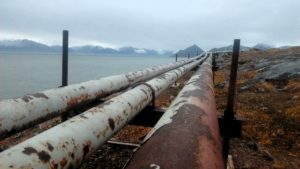 Pond Inlet, a remote hamlet of about 1500 which sits at 72 degrees north latitude, relies on fossil fuels for all of its electrical and heating needs. A diesel tank farm and generator plant distribute stable electrical current onto a power grid that otherwise resembles that of most Canadian communities. 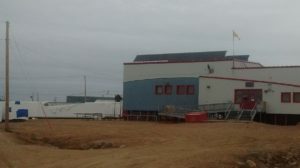 While diesel, shipped up on a tanker each summer, is still the primary energy source for the Community Hall and all other buildings, the photovoltaic panels allow the Community Hall to draw less diesel power throughout the Arctic summer, thus saving significantly on their high energy bills. 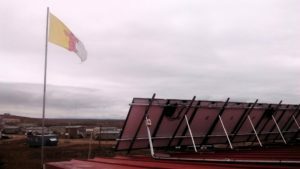 An upcoming net metering structure in Nunavut will allow extra electricity generated to be “sold” back to the utility, QEC, for a credit. The Community Hall and attached arena have significant baseline electrical loads, however, so they would rarely have excess power to sell back. This system allows all power generated to be used without the need for costly batteries. Public monitoring of the Community Hall’s solar production can be viewed here . The system is expected to reduce greenhouse gas emissions by over 8 tonnes and save $9,000 in electricity costs each year. Vancouver Renewable Energy Cooperative (VREC) is a values-based business that sells and installs renewable energy systems. Their mission is to reduce greenhouse gas emissions, other pollution and the consumption of non-renewable energy sources by installing fairly priced renewable energy systems. 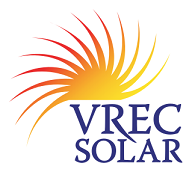 VREC has been in business since 2004 and is the leading installer of grid-tied photovoltaic (solar electric) systems in Metro Vancouver, having installed the first such systems in several municipalities.